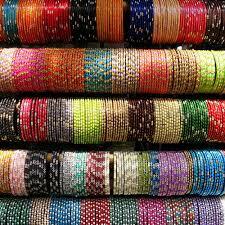 Glass Bangles form an essential fashion item of personal adornment for the women of Pakistan and India. 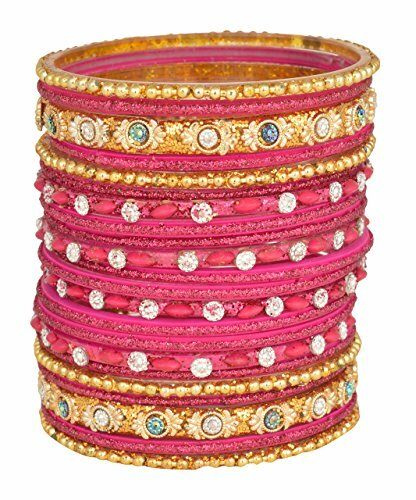 Beautifully colored to match or contrast with any outfit, these are worn by the dozens for any festivity. 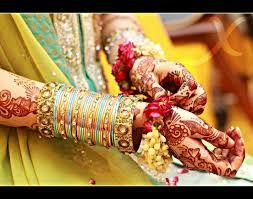 The colors and tinkle of the bangles creates an awesome aura of happiness, romance and festive feelings. 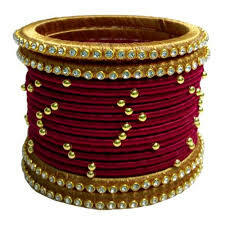 Glass bangles are known as Churi for singular and Churian for plural. The types are so many that one can't remember all but a visit to the Churi shop blows the mind away. 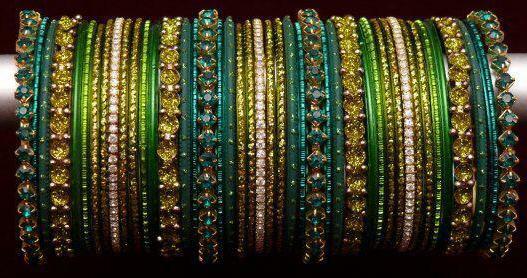 There are transparent glass bangles and opaque ones, plain and cover with silver or gold filigree type work. 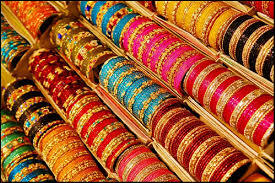 There are sets made with bangles and Karas the two bigger bangles at each side of a bunch. 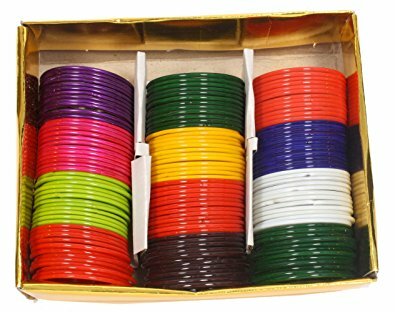 The moment a festivity is planned, glass bangles come to the mind as one of the first things that add to the color and joy of the festivity. 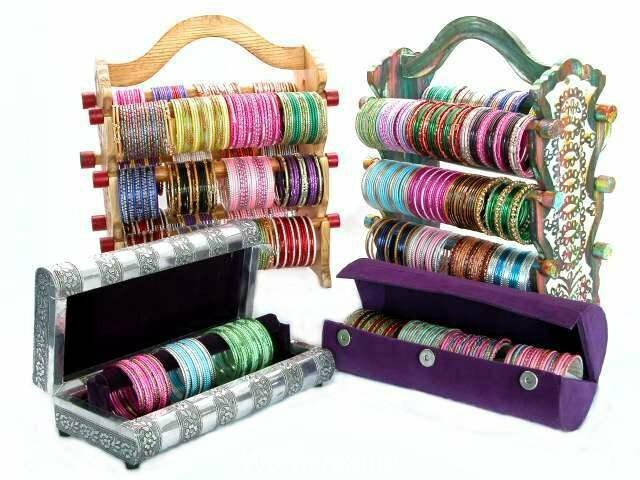 Be it weddings, Eid or any other happy occasion, the thought is not complete till a large array of glass bangles is not included in the purchase list. 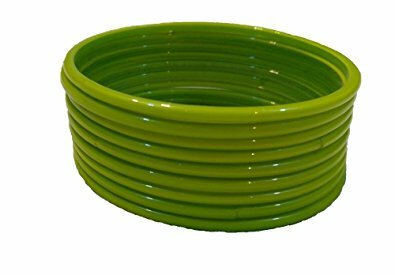 There is a huge market of glass bangles manufacturers in Pakistan, though these are mostly men, a lot of women sell them going from house to house in their straw basket. 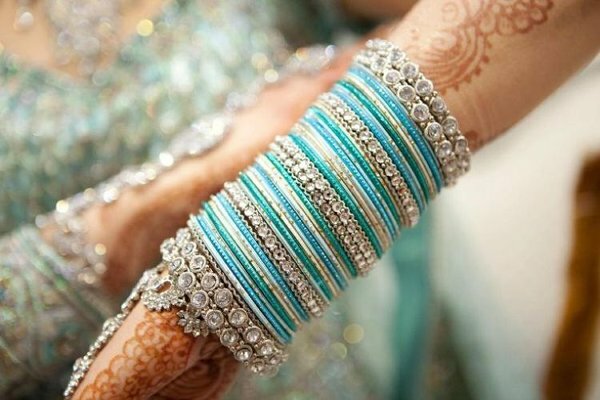 On the night of the Eid Festival called the Chand Raat people call these Churi walis to the house and with henna being put on hands to celebrate Eid, matching bangles are also purchased for the guests. 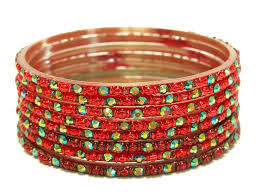 Glass bangles are very low priced and yet bring loads of joy and happiness. 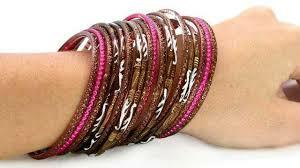 A word of caution - One has to be careful while wearing the glass bangles as they can break and scratch the skin. So don't fall while your bangles are on or you may hurt yourself ... though it is not a common occurrence.